Lord Protector (pl. Lords Protector) is a title that has been used in British constitutional law for head of state. It is also a particular title for the British heads of state in respect to the established church. It is sometimes used to refer to holders of other temporary posts, for example, a regent acting for the absent monarch. The title of 'The Lord Protector' was originally used by royal princes or other nobles exercising an individual regency (i.e. not merely as a member of a collegial regency council) while the English monarch was still a minor or otherwise unable to rule. James Hamilton, Earl of Arran, was "Governor and Protector of the Kingdom" (3 January 1543 – 12 April 1554) for Mary, Queen of Scots. The Lord Protector of the Commonwealth of England, Scotland and Ireland was the title of the head of state during the Commonwealth (or, to monarchists, the Interregnum), following the first period when a Council of State held executive power. The title was held by Oliver Cromwell (December 1653 – September 1658) and subsequently his son and designated successor Richard Cromwell (September 1658 – May 1659) during what is now known as The Protectorate. 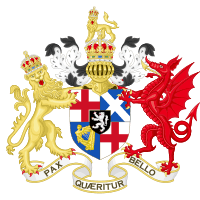 Oliver Cromwell, Captain-General of the forces of England, Scotland and Ireland, shall be, and is hereby declared to be, Lord Protector of the Commonwealth of England, Scotland and Ireland, and the dominions thereto belonging, for his life. The replacement constitution of 1657, the Humble Petition and Advice, gave "His Highness the Lord Protector" the power to nominate his successor. Cromwell chose his eldest surviving son, the politically inexperienced Richard. 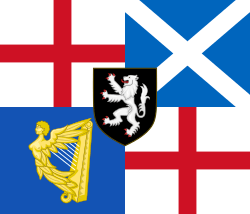 This was a non-representative and de facto dynastic mode of succession, with royal connotations in both styles awarded, (even a double invocation 16 December 1653 – 3 September 1658 "By the Grace of God and Republic Lord Protector of England, Scotland and Ireland") and many other monarchic prerogatives, such as that of awarding knighthoods. 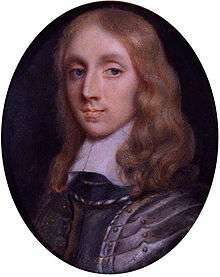 The younger Cromwell, who succeeded on his father's death in September 1658, held the position for only eight months before resigning in May 1659, being followed by the second period of Commonwealth rule until the Restoration of the exiled heir to the Stuart throne Charles II in May 1660. Since the Restoration the title has not been used in either of the above manners. George, Prince of Wales, appointed to the regency in 1811, was referred to as "His Royal Highness the Prince Regent". George exercised the powers of the monarchy, just as Lords Protector had, but the title's republican associations had rendered it distasteful. Lord Protector has also been used as a rendering of the Latin Advocatus in the sense of a temporal Lord (such as a Monarch) who acted as the protector of the mainly secular interests of a part of the church; compare vidame. In 1659, the royalist Anglican theologian (later Bishop of Rochester) Thomas Sprat made his witty and literary reputation with his satirical poem "To the Happie Memory of the most Renowned Prince Oliver, Lord Protector", clearly mocking Cromwell's legal status. In Mary Shelley's novel The Last Man, 21st-century England is a republic, which elects a Lord Protector as the head of state and head of government every three years. In Orson Scott Card's series of fantasy novels The Tales of Alvin Maker, set in an alternative early-19th-century America, England continues to be ruled by the Cromwells as Lords Protector, while the Stuarts rule the "Crown colonies" (roughly equivalent to the states from Virginia to Georgia) from Camelot (Charleston). The references especially come into play in Heartfire, the fifth book in the series, where much of the story occurs in Camelot. While the title is not the same, the character Denethor in The Lord of the Rings conducts the same role as Steward of Gondor, due to the absence of the line of kings. Alan B'Stard on the final episode of UK sitcom The New Statesman, after winning the general election, proclaims himself Lord Protector of England with seemingly dictatorial powers. In the Star Trek Voyager episode "Blink of an Eye", during which the starship Voyager is trapped in orbit above a planet experiencing a rapid passage of time, the first attempt shown by the people to contact Voyager was made during the planet's medieval period by a Lord Protector. By the end of the episode, the planet's technologically advanced society was governed by the Central Protectorate, hinting that the planet's head of state was still called Lord Protector. In Stargate Atlantis the Lord Protector is a human from a planet in the Pegasus galaxy who is the de facto ruler due to possessing the ATA gene and thus being able to operate the ancient control chair. In the MicroProse videogame Sid Meier's Civilization II, the term Lord Protector (or its corresponding female form Lady Protector) is applied to the leader of the English civilisation under the "Fundamentalism" type of government. In Europa Universalis IV by Paradox Interactive, Lord/Lady Protector is the title applied to a country's head of state under the "Republican Dictatorship" form of government, the first natural occurrence being Oliver Cromwell's formation of the Commonwealth of England, Scotland and Ireland. In Dishonored by Arkane Studios the protagonist, Corvo Attano, is the Lord Protector, a title given to the royal bodyguard within the game's setting, before having the title removed for a crime he did not commit. Trinidadian calypsonian Patrick Jones, or "Chinee Patrick", was also known by the names "Lord Protector" and "Oliver Cromwell". ↑ Njoroge Njoroge, "Chocolate Surrealism:" Music, Movement, Memory and History, New York University, 2007, pp. 91–92. Look up lord protector in Wiktionary, the free dictionary.